And yet, that’s exactly where I found myself on a quiet afternoon this last weekend, sipping a black velvet ($7) — a deceptively effervescent Guinness and champagne concoction — and channeling every bit of my attention that wasn’t swooning over the jazz music, muffled and crackling as if from another era, or the way the wooden ceiling fan cast an oscillating pattern of shadows onto the antiquated turnkey clock, while the JMZ Train rumbled on overhead … wait, where am I? 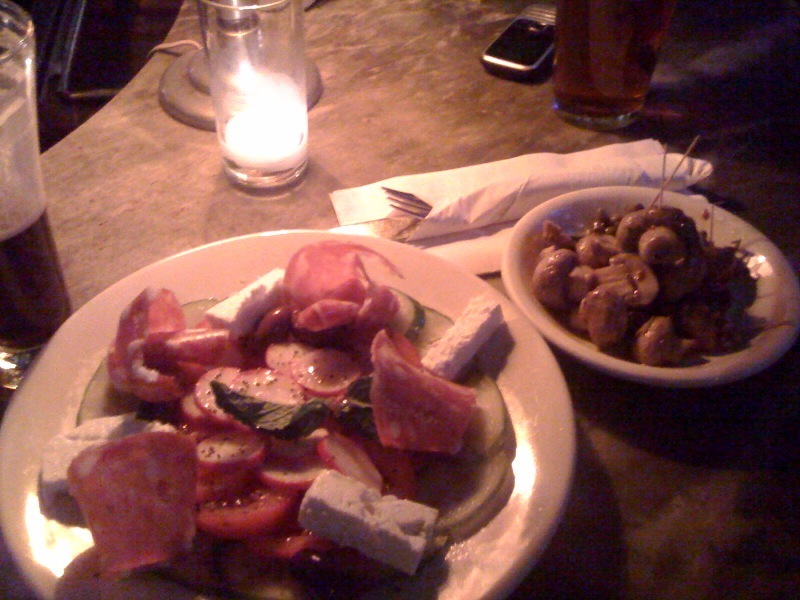 Oh yes, the task at hand: I was alternating between skewering mushrooms that had been marinated in olive oil and sherry vinegar, and finished with capers, rosemary and red pepper flakes, with toothpicks, and constructing gorgeous bites from a deconstructed salad composed of slices of cucumber, tomato, radish and soppressata, hulks of Bulgarian feta, garnishes of fresh mint and black olives. This was just to sample something the menu; I will surely be back for more. 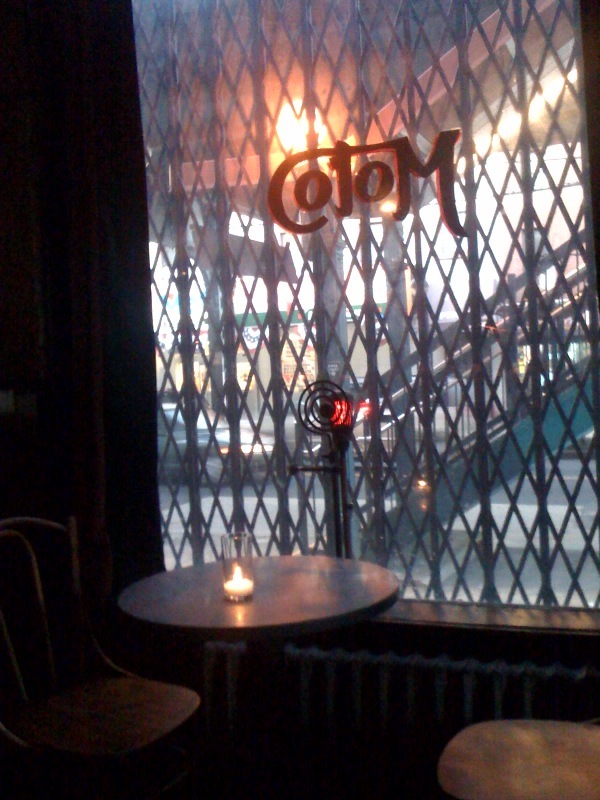 Moto, 394 Broadway, at Hooper Street, E. Williamsburg, Brooklyn, 718-599-6895. 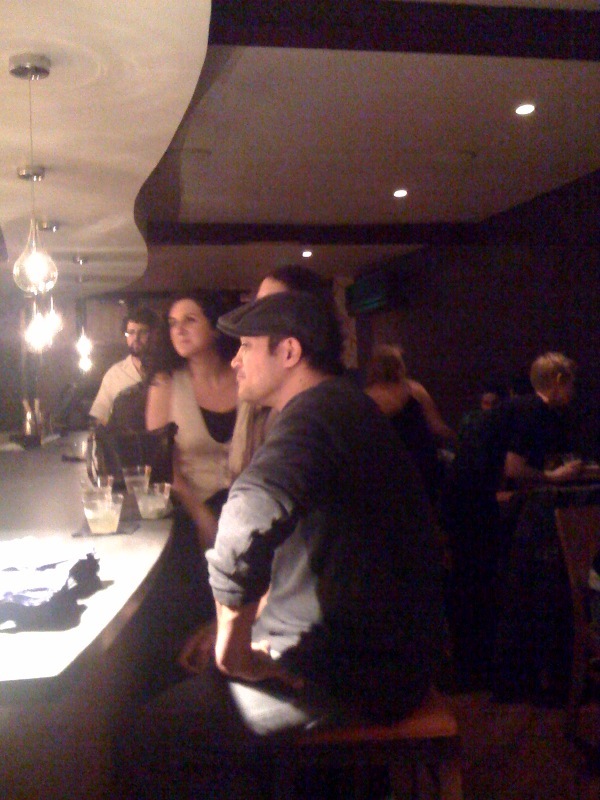 Photos of the restaurant and a bit more information here, great writeup by the Village Voice here. 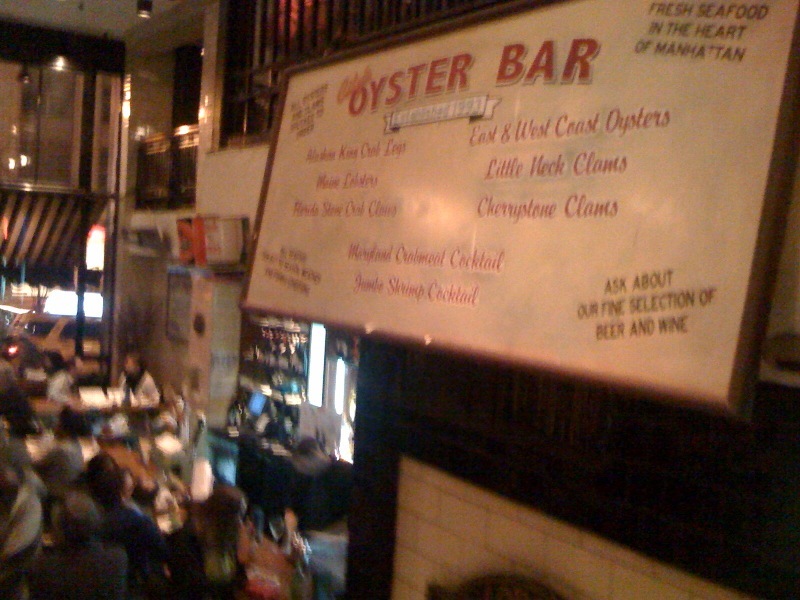 Half-priced appetizers, $1 Blue Point oysters, $3 beers. When four of us stopped in on a recent Friday night, we started with a round of Coronas and a dozen Blue Points. Squeeze, sauce, slurp, repeat — these oysters, meaty and lightly briny, are some of the best specimens I’ve had yet, although it should be noted that oysters are still new to me. Onto the hot foods — and mas cerveza s’il vous plait. First impression: These portions are not for the faint of appetite. The crab, spinach and artichoke dip ($6.50/hh) comes out bubbling in a metal cauldron, a basket of thick pita chips ($6.50/hh); both the dip, and the basket of Southern fried popcorn shrimp ($6/hh), went on and on — even among four of us. The lightest option, a pound of steamed PEI mussels ($6/hh), comes in a beautiful tomato broth laced with garlic and fresh herbs. 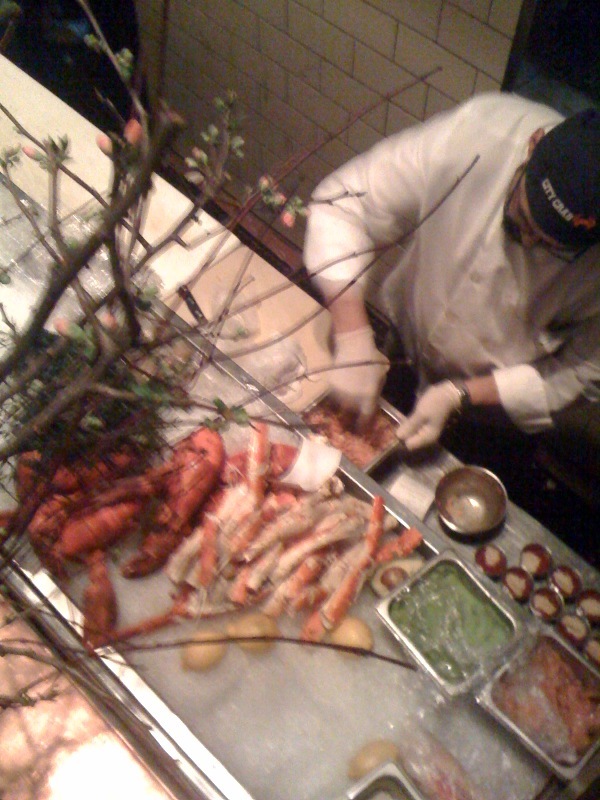 City Crab, 235 Park Ave. S., near 19th Street, 212-529-3800.